As you know,this is Hanbok which is one of the delegate of Korea.Some of the most beautiful garments in the world—including the Japanese kimono, the Indian sari, and the Korean hanbok—have something in common. Often, they are made of silk, a lustrous fabric that has been called the queen of fibers. Many travelers wear the Hanbok at first time,they are very excited.Because this is different from our daily life.But after that you will fell very comfortable. In fact,there were many people worn the hanbok whatever they do in the ancient times,there were not modern clothes at that time,so the hanbok was the same with the modern clothes. They are very happy,but they looks like a little shy. Posted on May 20, 2013 by Siyoung Kim. As a part of culture of Korea,the Hanbok is very famouse all over the world.So many people travel to Korea for experiencing to wear the Hanbok one time. In modern society,we can't see the people who wearing the Hanbok in the street.But there are some of shops where you can have a try,but it is very expensive. 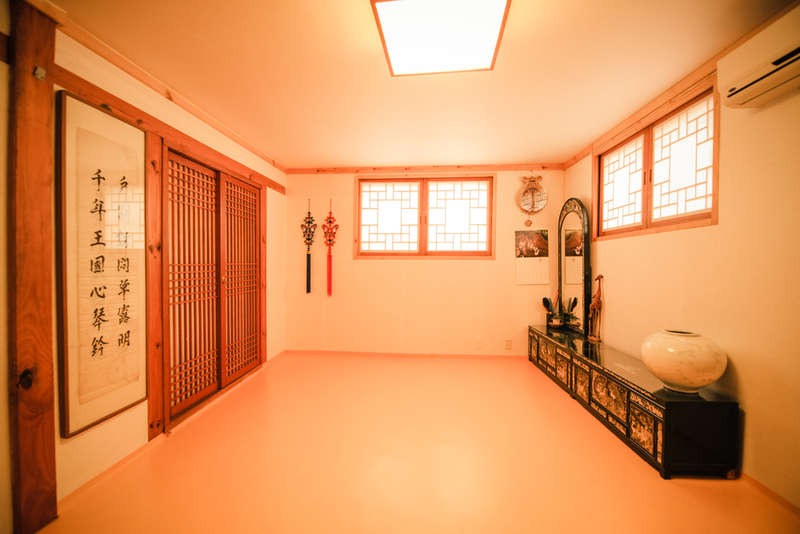 In our guesthouse,you can wear the Hanbok.As a gift to give you,you don't need to pay any more. 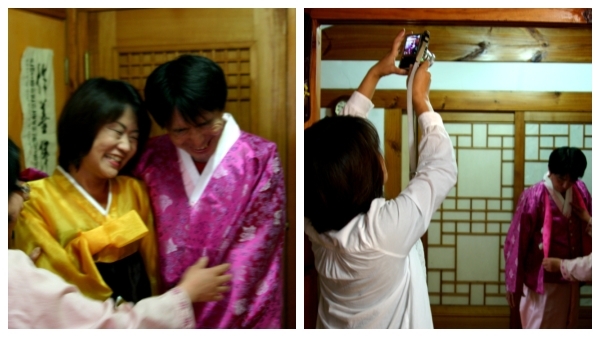 our hotel guest experience the Hanbok,they are very happy.Do you want to have a try?? Posted on May 16, 2013 by Siyoung Kim. Koreans love zesty delicacies, and kimchi is perhaps their favorite. To many of them, a meal without kimchi would be incomplete, even unthinkable. But what exactly is kimchi? One kinds of Korean Kimchi,it looks like very delicious,are you agree with me?? Posted on April 29, 2013 by Siyoung Kim.